By its nature, the visual arts attract creative people who strive to carve out their own niche. 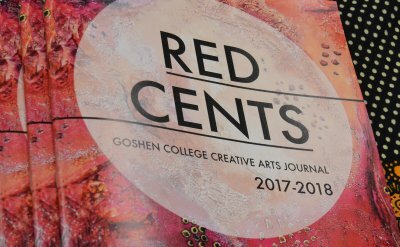 That’s why the Goshen College art major offers you a variety of concentrations to choose from, including art entrepreneurship, studio art, visual arts education (K-12), pre-architecture and art administration. In addition to comprehensive classes, you will a find number of extra-curricular opportunities to spark your creativity, like the three-week Arts in London class. You’ll create and display your work, study the artistic achievements of cultures old and new, sell your work at student art sales, or apply your skills to set designs or costumes for a theater production. You can also enroll in the distinctive art entrepreneurship program that combines developing your artistic skills and learning how to open a small business. Today, GC art major graduates pursue careers as graphic designers, teachers, architects, ceramists, professors, jewelers and business owners across the globe. But before you can find your creative niche in the art industry, the years you spend studying at Goshen College art program in Indiana will take you behind the potter’s wheel, behind the welding mask, teaching in a classroom and mounting your own senior art exhibit. Upon graduation, you’ll have the creative and practical skills to seek an imaginative, rewarding career. Follow the Art Department on Facebook to learn more about opportunities at Goshen College and connect with alumni. Goshen graduates Mark Histand '08 and Alex Caskey '10 oversaw the construction a peanut butter factory in Malawi with Project Peanut Butter, which aims to treat children with malnutrition and help the local economy. 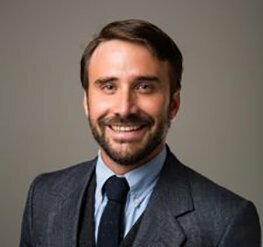 Caleb Longenecker Fox studied Art and Molecular Biology/Biochemistry, and is now earning his master's degree in business administration through the college's collaborative MBA program. Anna Mast, owner of Anna's Bread, a local cafe and bakery nestled cozily in the Goshen Farmers Market, shares about her journey with baking and entrepreneurship in Goshen. Caitlin Lanctot is a jeweler who teaches people how to make art and runs a shop called She Dreams In Colors. From a really young age, Jordan Kauffman knew two things about himself: he liked to make things and he liked to help people. Matt Thomas studied sculpture, and used this experience to start his own business, Elko Hardwoods, which makes high-end furniture from locally-sourced trees. Merrill Krabill: "A Visual Reflection on Fear and Connection."